Can Peak are a cafe located in Tsubame, and they serve up a wide range of tasty dishes. Their cuisine could probably be best described as "Hawaiian inspired". 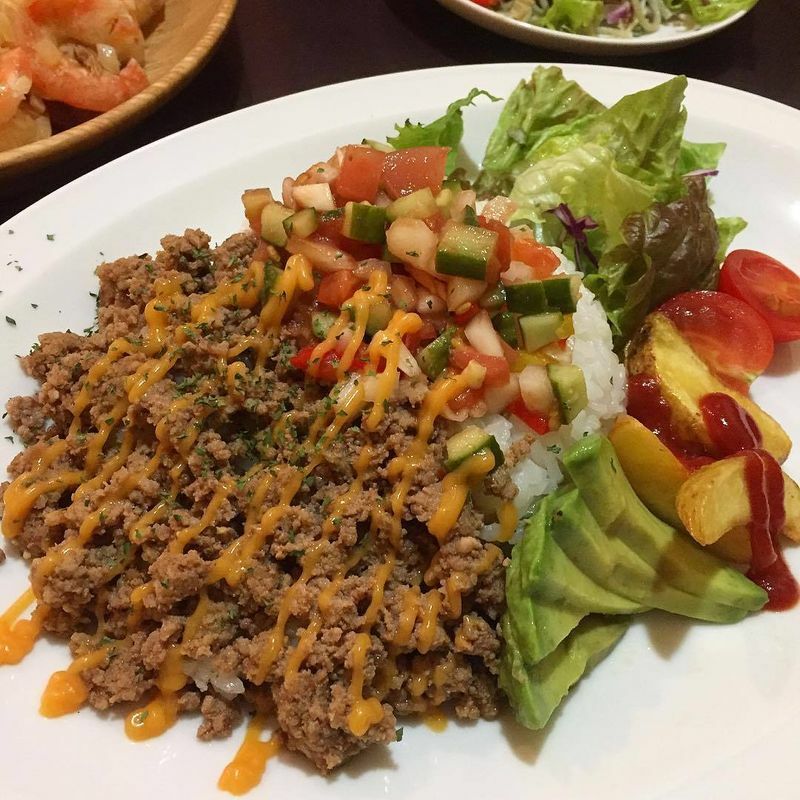 My go-to when I visit is the avocado taco rice, but there are plenty of options - both sweet and savory. The cafe is probably best known for their pancakes, which come in a variety of flavors. They also serve up "regular" pancakes as well as the fluffier, thicker kind - so if you have a preference you can choose between the two. There is also an extensive list of smoothies and other drinks available. You can't really miss the exterior of the store - it's a bright blue color with rainbow painted steps! The inside had plenty of seating available when we visited but there's also some patio seating if you'd like to sit outside. Maybe not the best idea in the heat or the snow, though!